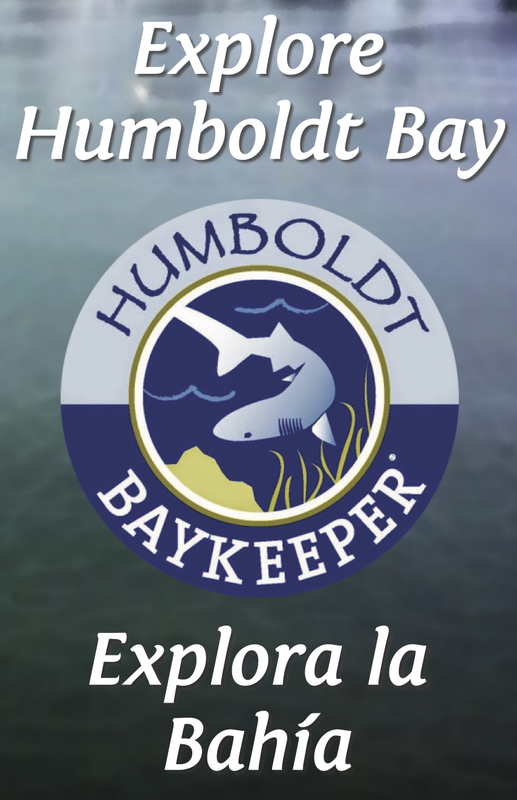 Humboldt Baykeeper was launched in October 2004 with a mission "to safeguard our coastal resources for the health, enjoyment, and economic strength of the Humboldt Bay community through education, scientific research, and enforcement of laws to fight pollution." Humboldt Baykeeper's programs involve scientists, students, boaters, fishermen, and other concerned citizens in the important work of protecting Humboldt Bay, its associated watersheds, and the near-shore waters of the Pacific. Humboldt Baykeeper works to protect and enhance Humboldt Bay and near-shore waters through community education, water-quality monitoring, and pollution control. The geographical reach of Humboldt Baykeeper's programs includes Humboldt Bay, its tributaries, and the Pacific Coast between Trinidad Harbor to the north, and the Eel River estuary to the south. Baykeeper maintains an on-the-water presence throughout the area, patrolling by motor boat, kayak, and airplane, with upland areas patrolled by car and by foot. Humboldt Baykeeper addresses water pollution on a case-by-case basis, and provides information to encourage Humboldt Bay residents to take action to address the problem of toxics in our environment. Historic industrial activity continues to impact the Bay along with the health of local residents and the area’s economy. Dioxin, heavy metals, petroleum products, and other contaminants persist in areas where they were used in the past, and continue to enter Humboldt Bay through storm water and ground water discharges. Humboldt Baykeeper works to stop this ongoing problem by seeking cleanup of these sites. One focus of Humboldt Baykeeper’s Toxics Initiative is the past use of wood preservatives at dozens of lumber mills that once lined the shores of the Bay and its tributaries. The mills used the chemical pentachlorophenol (also known as "penta") which led to the release of contaminants such as dioxins and furans. Accidental spills and illegal dumping of these chemicals resulted in soil and water contamination. For example, the former Simpson Plywood Mill, and an adjacent drainage swale that discharges directly into Humboldt Bay, was heavily contaminated by dioxins and furans. Through Humboldt Baykeeper’s Toxic Initiative, this ongoing threat to Humboldt Bay was identified, and is currently undergoing clean up activities to eliminate this source of dioxin. In 2006, Humboldt Baykeeper petitioned the State Water Resources Control Board to add Humboldt Bay to California’s Threatened and Impaired Waters list under Section 303(d) of the Clean Water Act. As a result, Humboldt Bay was listed for dioxin. Humboldt Bay was listed as Impaired by PCBs under Section 303(d) of the Clean Water Act in 2002, based on levels of PCBs found in fish tissue. PCBs have been demonstrated to cause a variety of serious health effects, including cancer and serious effects on the immune system, reproductive system, nervous system, and endocrine system. For more info on PCBs and their health effects, click HERE. In 2012, a statewide survey of coastal fish found the highest mercury levels in Humboldt Bay leopard shark. In 2016, the California Environmental Protection Agency funded our Humboldt Bay Mercury Assessment to study mercury levels in fish and to identify communities most at risk of exposure. This study will be complete in 2018. Humboldt Baykeeper’s Bay Tours program offers free, docent-led walking tours on the Eureka waterfront, as well as tours of the bay by motor boat, kayak, or canoe. La programa de Humboldt Baykeeper’s Exploraciones de la Bahía ofrece gratis, visita de guiada a pie en la zona costera de Eureka, así como tours de la bahía por barco de motor, kayac, o conoa.